Our guess is that 2014 should be a return to gold and silver finishing above where they started the year. Though given the length of this correction it could be a while before we get back to new highs (see more on this below). The level of confidence in the recovery throughout the mainstream is pretty high so this could remain a headwind for the precious metals for little bit yet. Also while other sectors head higher this will also likely have a dampening effect on gold and silver. 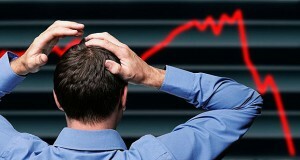 Odds are we will see shares and property continue to bubble higher. But a bubble isn’t fully formed while many people are talking about a bubble. And that is the case with stocks in the US and with property here. While we continue to see articles in the mainstream discussing NZ property being in a bubble, it probably means it hasn’t really been fully inflated yet. Likewise prices around the rest of New Zealand other than Auckland and Christchurch are yet to rise much. Until these follow we probably haven’t reached bubble level yet either. 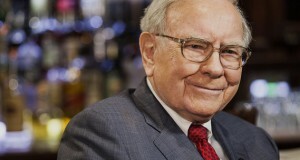 Where to for Gold in NZD in 2015? Three times over the course of 2014, gold in NZ dollars dipped down to around the $1460 level and bounced up from there each time. So it seems to have built a pretty good base at this level. 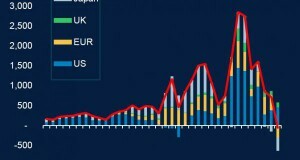 Therefore, our guess is that we should again see gold higher by the end of the year compared to where it started it. As mentioned already it has held up above the 200 day moving average level for 4 of the last 5 months of 2014, so that too is a good sign. 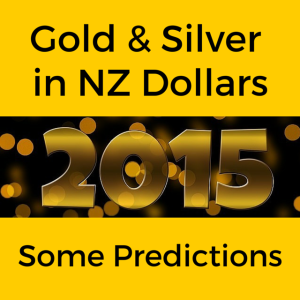 Where to for Silver in NZD in 2015? Silver is a little harder to pick. Given that unlike gold, it remains firmly in a downtrend still. However we’ll stick our necks out and say we think it too might finish the year higher than it starts it. To be honest maybe out of hope as much as anything! Although there’s a good chance we could see the gold/silver ratio extend a bit higher yet. It’s currently not too far from previous highs in the 80 range. This means gold might continue to outperform silver for a bit yet. That doesn’t necessarily mean silver will fall, but that gold could just rise faster than silver.